The TRACKER® GRIZZLY® 2072 CC is a massive, all-welded aluminum jon with the capability you need to tackle the biggest inland or inshore fishing, hunting or utility jobs. 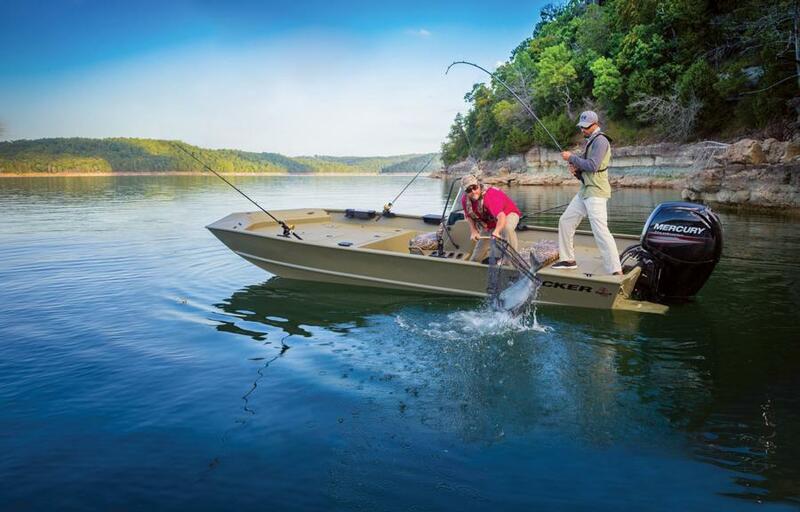 The center-console design offers 360° fishability and a better view for the driver when navigating skinny water. And it can be powered by up to 150 horses, giving you more power and more range. Max. person weight: 1230 lb. Average dry weight: 1388 lb. Average package weight: 2970 lb. Towing length: 26 ft. 5 in. Storage length (w/outboard trimmed down): 25 ft. 6 in.